The best part of autumn is trees that change color to the most brilliant reds, yellows and oranges imaginable. 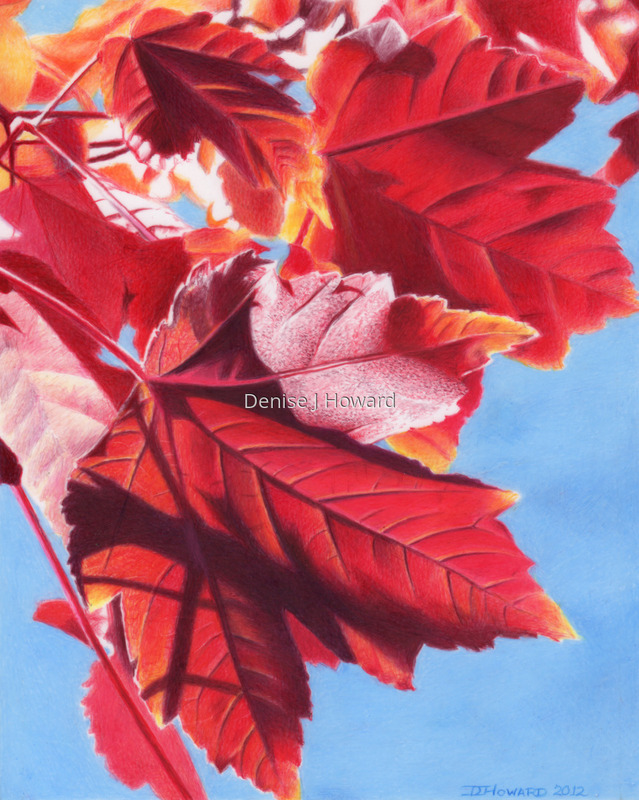 Against a clear blue sky and with bright sunlight shining through them, red maple leaves become beacons. Colored pencil on drafting film. 6.25" x 5"10" x 8"13.75" x 11"